Local p hilanthropist and community activist, LaShonda Holloway recently took inspiration in her own hands to treat an entire theater of school children to a screening of Black Panther. 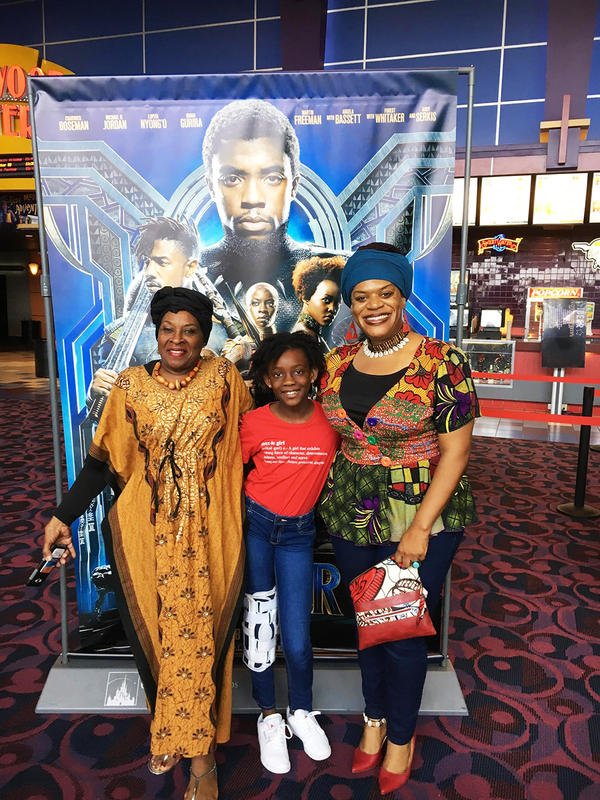 Students from Rutledge Pearson Elementary enjoyed treats and the blockbuster film accompanied by volunteers and chaperones in their African attire. Shown above enjoying the screening are Adrian Miller Stewart, Natalie McGriff and LaShonda Holloway.